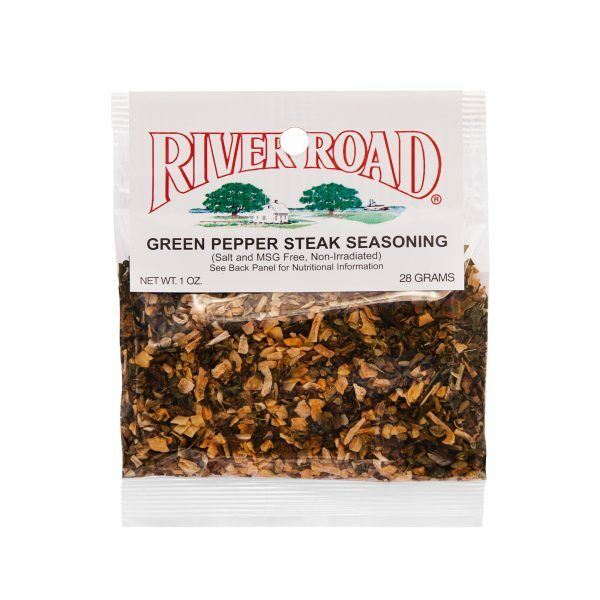 Also simply referred to as “pepper steak,” green pepper steak is a Chinese-American dish that consists of sliced beef and green peppers sautéed in a soy ginger sauce. This dish has been a staple at Chinese food restaurants and buffets since the 1940s, though it is thought to have originated in the Fujian province of China where it is known as qīngjiāoròusī. 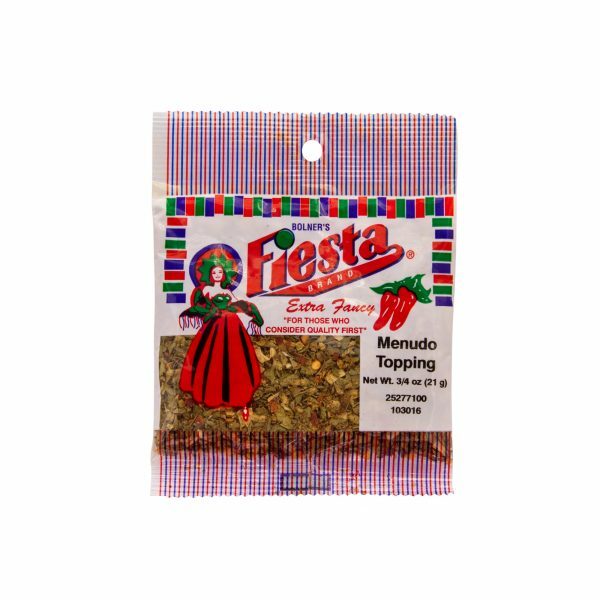 Fiesta Brand Green Pepper Steak Seasoning is the perfect blend of real bell peppers and flavorful spices like onion, garlic, cayenne and parsley. 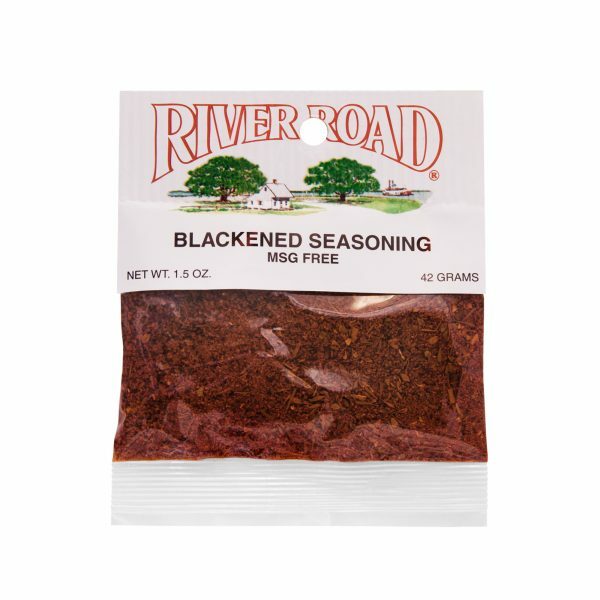 Simply blend the contents of this package with ½ cup each of water, wine and olive oil then pour over sliced steak. Let the steak soak up the flavor for several hours then sauté with sliced green peppers and serve over steamed rice. Combine the contents of this package with ½ cup of water, ½ cup wine, and ½ cup olive oil. Pour over 1 ½-3-lbs. round steak, sliced into ¼ " strips. Marinate for 3 hours, turning once. Remove meat, pat dry, lightly flour, and brown in 2 tbsp. Oil. Drain cooking oil and marinade. Cover and cook until tender. Serve over fried rice, noodles, or potatoes.